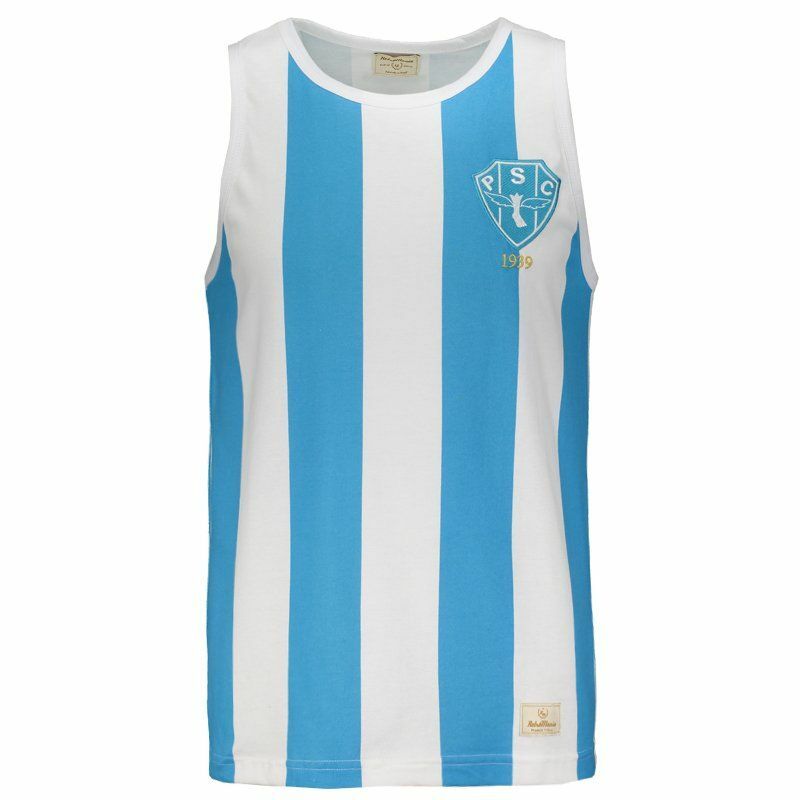 Retrômania presents the Paysandu Sleeveless Shirt honoring the year 1939, when the team consecrated champion in the dispute of the first classic Re-Pa. Made of soft cotton and great body fit, it brings design inspired by the traditional colors of the team. More info. 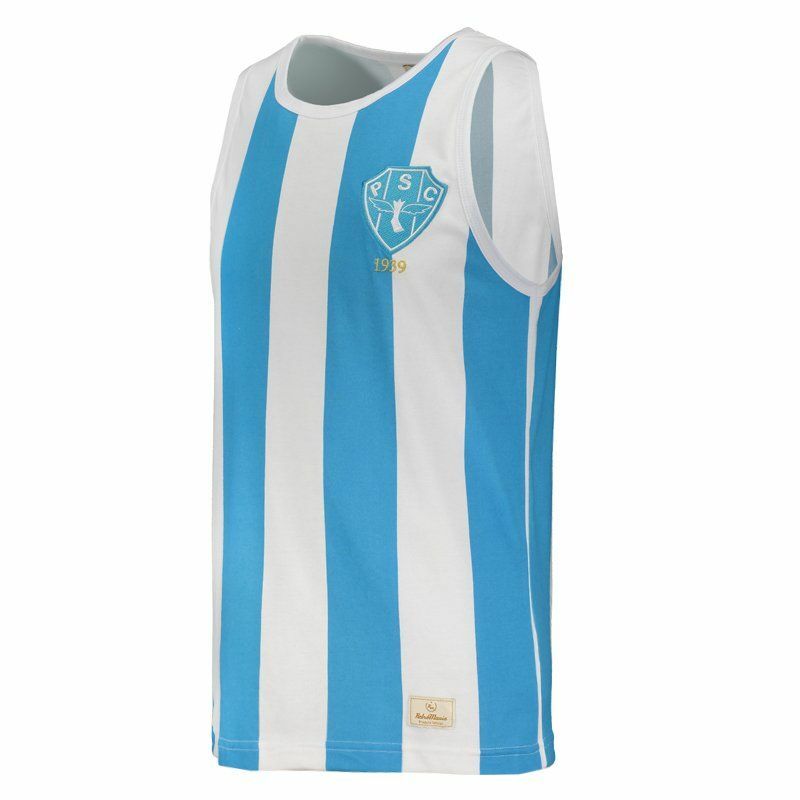 Retrômania presents the Paysandu Sleeveless Shirt honoring the year 1939, when the team consecrated champion in the dispute of the first classic Re-Pa. Made of soft cotton and great body trim, it brings design inspired by the traditional colors of the team's uniform, seen in vertical stripes in white and sky blue. 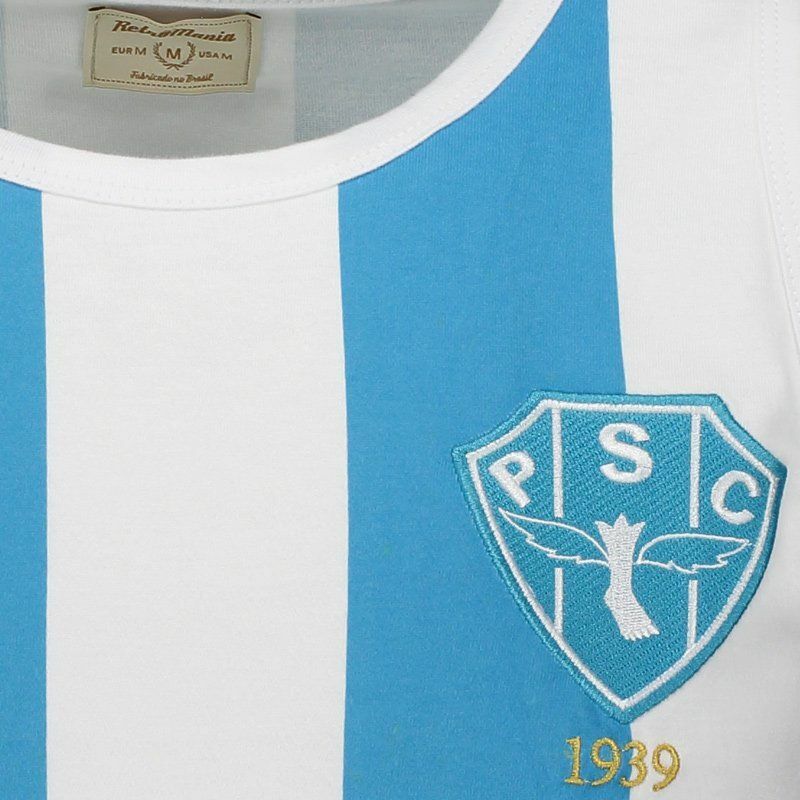 It also has a crew neck collar and chest, the badge is present, embroidered. 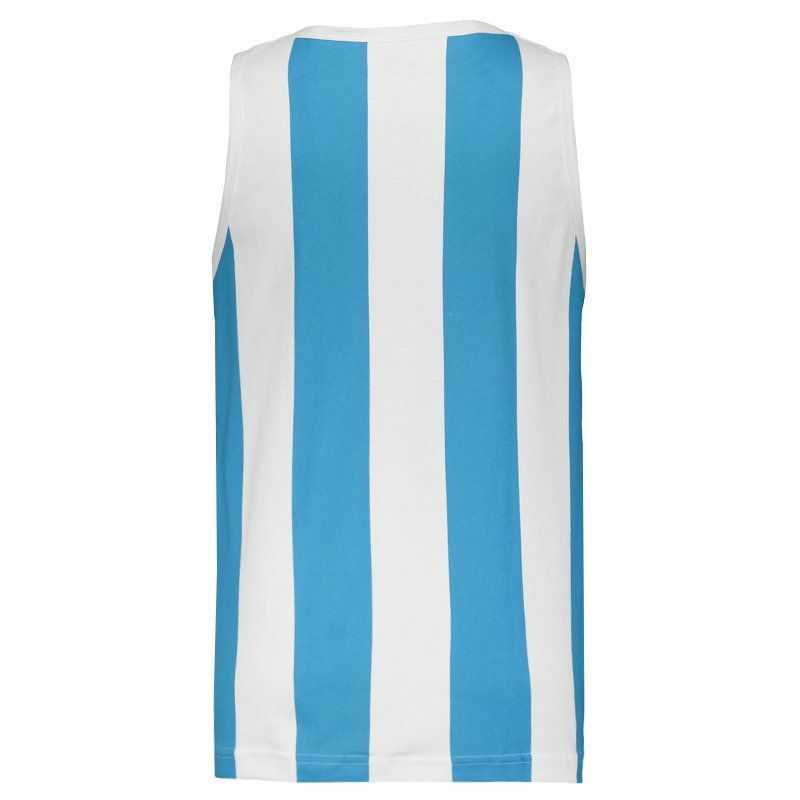 Just below, the year 1939 appears prominently, complementing the play.